What’s New with the Total Connect iOS App? Just About Everything. Home security and automation technologies are always advancing and it seems there is always something new and exciting to talk about. One of the most recent changes is the total new redesign of the Total Connect app for iOS. We have to say, the team at Honeywell have completely outdone themselves. The sleek modern interface is responsive, easy to use and everything we’ve ever wanted in an app. If you are an Apple user you probably already notice some incredible changes. If you are an Android user, hold tight because the changes are on the way soon to an Android platform near you. Even better? Once both updates are complete, you will be able to switch between iOS and Android devices for a seamlessly integrated experience. Ready for the New App? If you are ready for the new app, you’ll find updates in the Apple App Store. Early adopters provided extensive feedback to the development team and the result is a truly user-centric app. The new release integrates vast user improvements to provide an even more enjoyable experience. Intuitive user interface for easy mobility – simplifying interaction and control. An automated prompt for users to rate the app and provide feedback. Faster connection and immediate delivery of updated information. Feature parity and consistency between the iPhone and iPad app versions. iPhone now supports full control of user management and the ability to set up event notifications. Built –in support to answer Frequently Asked Questions directly from inside the app. 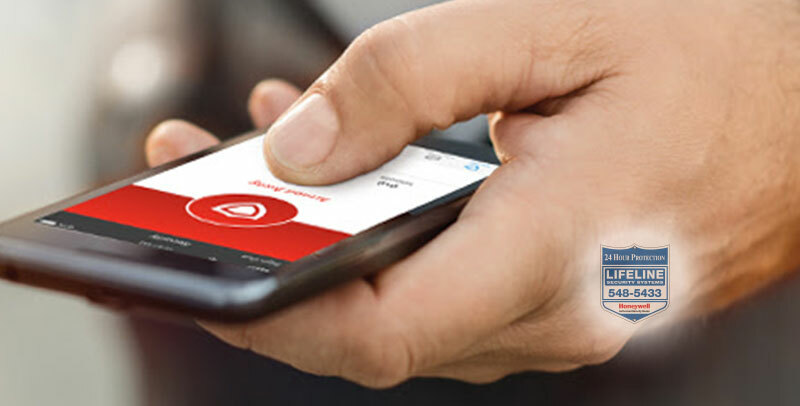 This newly designed iOS app provides an updated look and feel comparable to the Android beta app and HTML5 beta website, helping to offer a leading mobile experience across the Honeywell Total Connect Remote Services. Once the beta development is fully completed, users can expect all the same features available on Android as on iOS platforms and leverage features like Fingerprint login and Voice Commands. As a local security company, Lifeline is uniquely positioned to understand the real needs of our clients. Your community is our community, and we value your security, safety, comfort, and peace of mind. Mariette coordinates and manages all of the marketing initiatives at Lifeline. She is also the office bookkeeper. What Can A Video Doorbell Do For You?